Cornmarket Street. This might be the most "commercial" street in the City Centre. It is one area where older buildings have been replaced with modern ones. 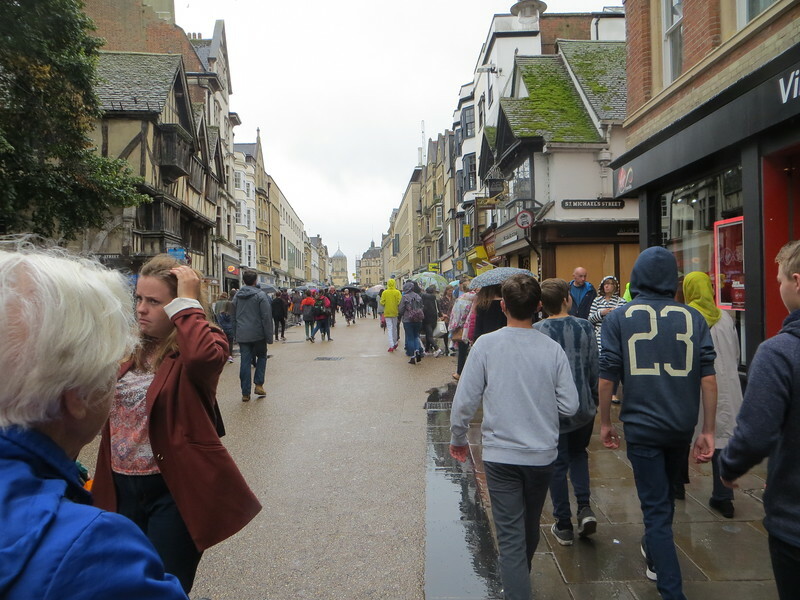 There are few chain stores in Oxford but I saw a Burger King and a McDonald's on Cornmarket. As you can see, the street is closed to vehicles and is always busy like this.